Although it may seem like the 2016 election season has been dragging on for years already, things really kick into high gear next week on March 1 with Super Tuesday that features primaries and caucuses in 13 states and territories. Super Tuesday will include what has been dubbed the “SEC Primary,” — Alabama, Arkansas, Georgia, Tennessee, and Texas — as well as primaries in Massachusetts, Oklahoma, Vermont and Virginia and caucuses in Alaska (GOP), America Samoa (DEM), Colorado, and Minnesota. Following Super Tuesday, there will be contests almost every Tuesday, and some weekends too, through June 14 when the District of Columbia Democratic party holds the very last primary in the country. Elections officials have spent countless hours and dollars purchasing new equipment, training staff and volunteers and educating the public, but since the last time the American public when to the polls en masse, there have been many changes. How will the voting public cope? How will elections officials? While we think everything is worth watching on an election day, these are the 10 things we’ll be keeping an eye on in the coming months. And stick with us throughout the day on Tuesdays during primary season. We’ll be bringing you Election Dispatches all day whenever voters are headed to the polls. Although new voting equipment might be the bigger storyline four years from now, there are multiple jurisdictions that will be using new voting systems for the first time in a presidential election — and for the entire state of Maryland for the first time ever. Four counties in Arkansas are testing out a new voting system, Maryland is moving to an optical-scan system for the first time, many counties are launching e-poll books for the first time on a large scale basis and many elections offices have purchased new ballot counting equipment. Will voters and poll workers struggle with the new equipment at polling places? Will elections staff be able to more quickly report results? North Carolina is the only jurisdiction rolling out voter ID for the very first time. There are numerous other jurisdictions that have given it a test run in small elections, but this is the first time many voters will be asked to show a photo ID for a presidential election. Advocacy groups and state officials have worked to educate voters about the ID requirements, but it remains to be seen what impact this may have on voters. Will people be turned away? Will there be a lot of provisional ballots? Turnout is always a “known unknown”. State elections officials make predictions, but no one every really knows how many voters will turnout on election day. Early voting numbers and absentee ballots requests are up, but do those numbers parlay into increased numbers on election day? Interest is certainly high, but will that high interest remain as the election enters the late spring and it becomes more clear who the nominees may be? Will the Millennials bother to show up? The heart of the primary season kicks off just as spring storms start making their way across the country. Already Louisiana has had to limit early voting hours because of storms. Will storms impact turnout on primary days? Will storms affect polling places in the days leading up to primary contests? Watching The Weather Channel could be as important for local elections officials and voters as testing election equipment and reviewing sample ballots. More and more voters are turning to the mailbox as opposed to the ballot box. What impact will vote-by-mail have on election day turnout? How will local elections officials cope with the volume of mailed ballots? Following problems in 2015, will all mail ballots in Ohio be counted? The popularity of vote centers is on the rise in the U.S. While many voters in states like Indiana are used to vote centers, some voters, especially those who typically only show up for marquee elections, in counties in Arkansas and Texas will be using vote centers for the first time. Will the allocation of vote centers in these counties be able to deal with anticipated turnout? Will there be voter confusion of those looking for their local polling place? Ghost ships —as defined by our colleague Doug Chapin— are ballots, many printed back in January in order to comply with UOCAVA, that feature the names of candidates who have suspended their campaigns. Elections officials in Florida are already fielding calls from voters who cast absentee or early ballots of former Gov. Jeb Bush wanting to know if they can cast a new ballot. As more candidates drop out, will this create a problem for elections officials? Will it impact early voting turnout? Another day, another lawsuit. Currently there are least a dozen lawsuits pending that may or may not impact the primaries and several states and certainly could impact the general election. Will we see more lawsuits as the primary season grinds on into the spring? How much will any or all of this affect the speed with which ballots are counted and winners declared? Media coverage of elections is already intense, but it always “goes to 11” in a presidential year. Will there be problems with results and if so, why? Even the most apolitical person is aware of the circus-like atmosphere that has surrounded the 2016 election cycle so far. Will candidate and supporter shenanigans impact voters and local elections officials? Multiple school systems in Virginia have canceled classes on March 1 because of concerns about the impact turnout (and at one point time the GOP loyalty oath) may have on students. Candidates and their supporters have already been crying foul over policies and procedures — although without much follow-through — in the early contests; will this continue during the primary season? In short, there’s a lot going on – and many different ways for things to get complicated. Best of luck to election officials and voters everywhere as primary season continues. 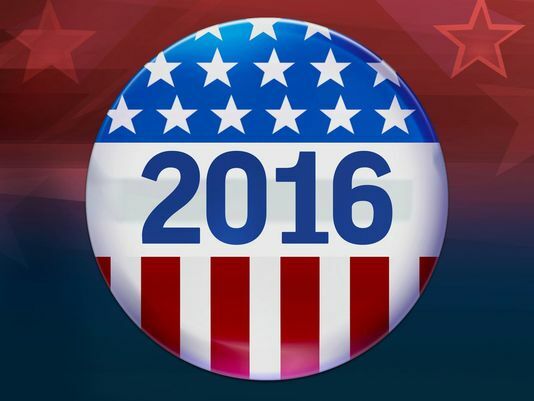 Be the first to comment on "electionlineWeekly on “What to Watch” in Upcoming Primary Season"